This event is sold out. Thank you for your interest, and we look forward to bringing you similar events in the future. If you would like to be added to our wait list, please contact Molly Schachter at mschach@uw.edu. The University of Washington Alumni Association's Japan Chapter cordially invites you to a reception with UW President Michael K. Young on Tuesday, April 15. Enjoy a buffet-style dinner with fellow alumni and friends at the Tokyo American Club and hear President Young’s updates on the latest UW innovations. Payment will be collected in cash at the door. 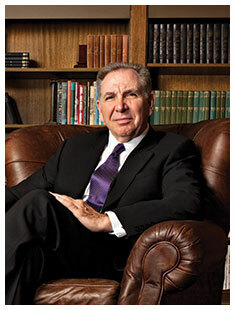 Michael K. Young is the 31st President of the University of Washington. President Young leads the United States’ top public university in federal research funding. Since President Young took office in 2011, the UW has redoubled its commitment to the student experience, exploring innovative ways to combine technology with collaborative, hands-on learning to ensure that students have a transformative intellectual experience. Learn more about President Young by reading his biography, or visit the Office of the President page for the President's blog, recent media coverage, and much more. Questions? Please contact Ray Li at rayli@uw.edu. Connect with Huskies in your area! Please complete your registration in English.